Watchmaking has been a timeless art for centuries now. And the day that I made my first watch was one of the most exhilarating feelings in the world for me. As a watchmaker and watch connoisseur, I know how precious a watch can be to its owner. And the more detailed and straightforward the design, the more does it carry a special place in the wearer’s heart. But in today’s era of modernization, the traditional design of a wristwatch has been somewhat pushed to the background. The market is dominated by digital and smartwatches, which have more to do with functionality than having a unique identity of their own or any sort of aesthetic appeal to speak of. 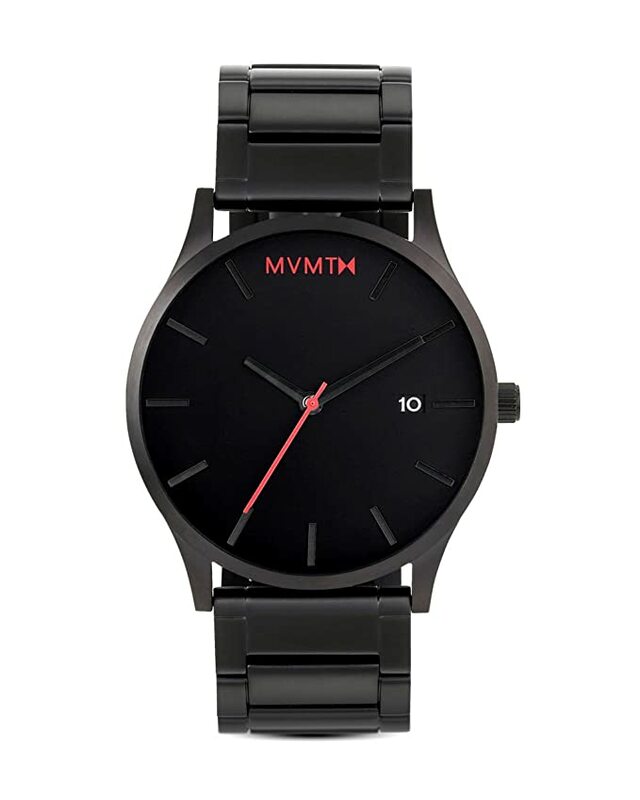 But MVMT is a sort of a brand that takes the traditional design and gives it a modern spin. They renew the outdated fashion and make it more appealing to the newer generation. And today I would like to talk to you about one my recent experiences with this unique watch brand. 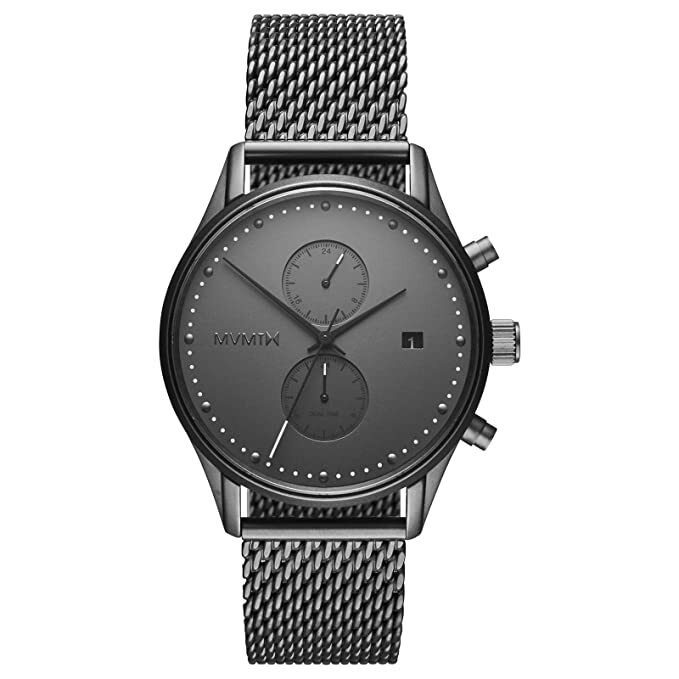 “Here Raymond, I would like you to have this,” I still remember these words from my father on my 18th birthday, when he handed me my grandfather’s Bauhaus Watch. This watch is kind of like a family heirloom, and my father decided that it would be best if he passed it on to me when I turned 18. The Bauhaus was an artistic movement in Germany in the early 20th century, which revolved around the basic stylistic features of avant-garde simplicity. At first, I didn’t like its everyday look or its used beige strap, but the watch soon grew on me. Soon enough it became not only my companion but an inspiration for a lot of my own watch designs as well. And in the era of smartwatches, such simplicity and attention to detail have become somewhat rare. But MVMT (like Junkers and Junghans) is one such watchmaker that is still holding on to the traditional styles and modernizing them. 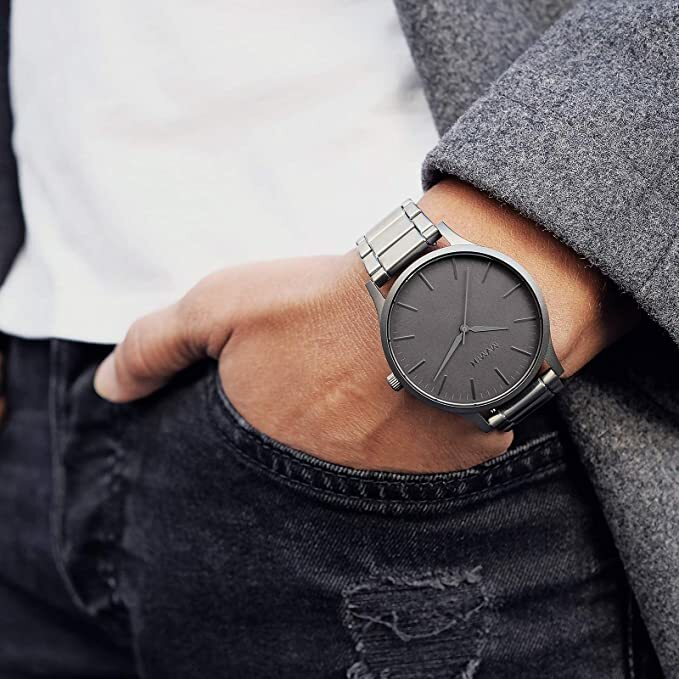 Their motto is “to disrupt the overpriced and outdated models of the fashion industry”, and they have steadily grown to be one of the most popular watch brands in recent times. Believe it not, but the first time I got acquainted with MVMT was through a television commercial. A few months ago while flipping through the channels, I came across two gentlemen who were talking about bringing a much-needed change in the ways watches are made and sold. And the watchmaking ideologies that they spoke of truly resonated with my own. The basic idea behind their watch designs is that it doesn’t necessarily have to be expensive for a wristwatch to be of high-quality. Needless to say, this got me rather curious, and I started digging deeper into their background and watchmaking philosophy. And while going through their catalog, I was pleasantly surprised to find that almost all of their watches have much higher quality but sold at a very competitive rate. 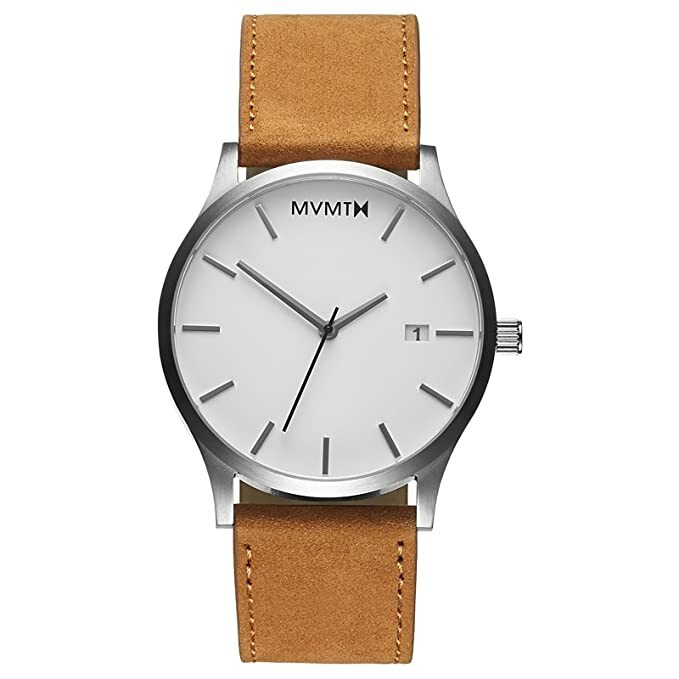 Since their conception in 2013, MVMT has steadily grown and spread its influence worldwide. And to make things better for their customers, they give out discounts quite frequently during festivals and holidays. 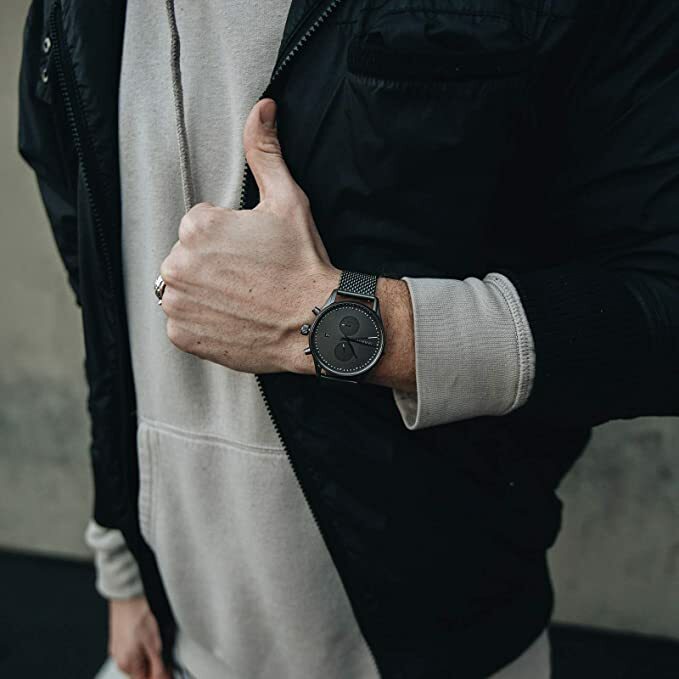 MVMT (pronounced “movement”) was formed in 2013 by two 21-year-old college dropouts, with the sole commitment of offering stylish watches at a very affordable price. And with their latest line of revamped chronographs and sleek sunglasses, it’s evident that not only have they learned how to tap into recent trends over time, but also deliver exactly what their customer base demands. So, I decided to give one of their watches a try and evidently chose the Chrono Gun Metal as my pick. And I must say that this watch fits my wrists perfectly, making me absolutely elated with my choice. Like many of their models, MVMT puts a lot of stress and detail onto the strap, and the Chrono Gun Metal comes with a light sandstone strap which gives it a somewhat seasonal feel. 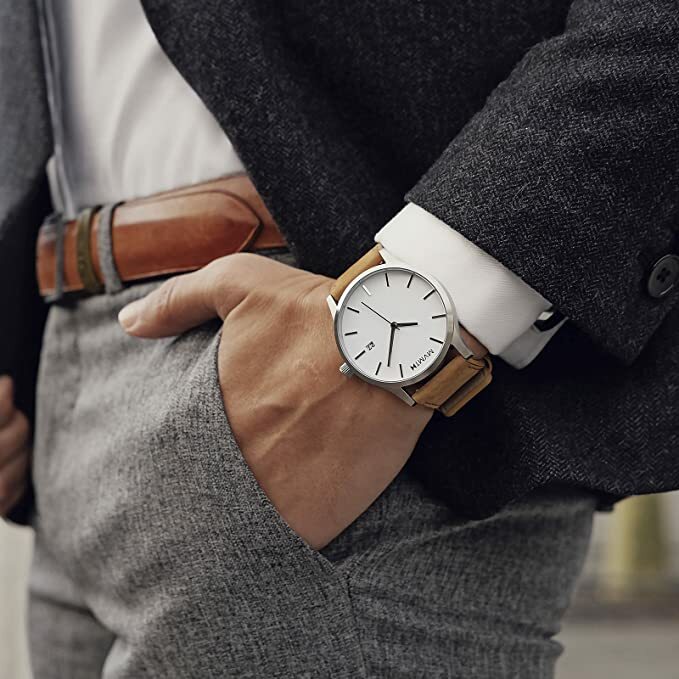 The strap clings onto my wrist quite comfortably and gives the watch a rather luxurious appeal. 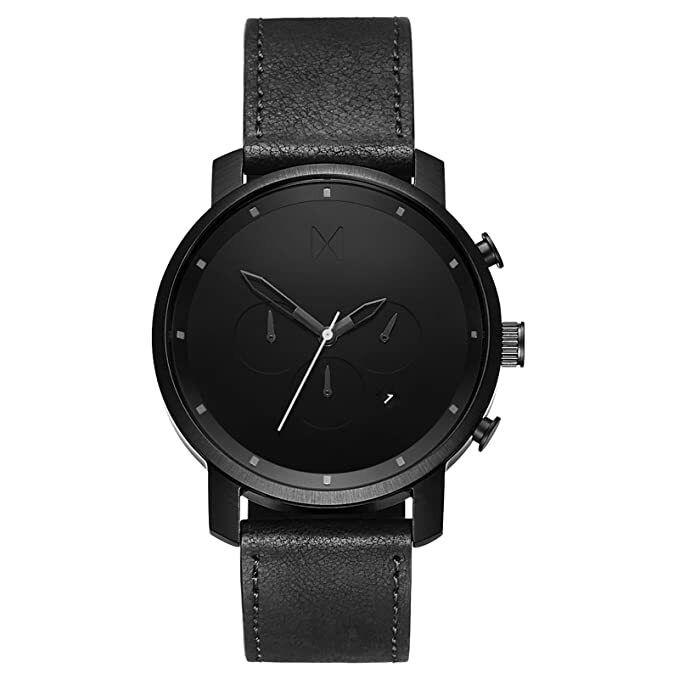 Another essential aspect of the MVMT watches is the packaging and the box that it comes in. 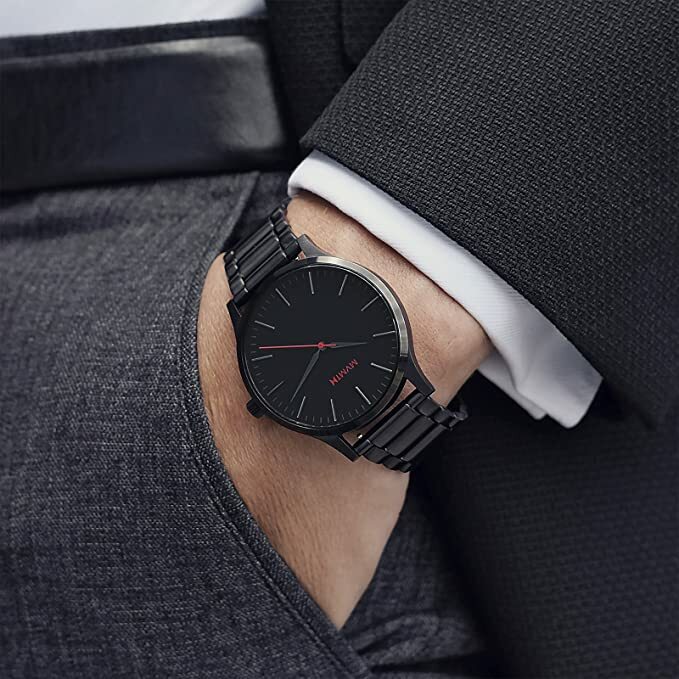 Not many brands care for the box that contains the watch, but MVMT likes to add a bit more to the overall user experience by providing each watch with a unique and stylishly designed box. The Chrono Gun Metal arrived at my doorsteps in a sleek black box that has a red monogram pattern printed on it. This pattern not only gave the box a metallic finish but made it look rather expensive as well. And quite frankly it made me feel that I was purchasing one of the high-end Rolex models rather than an MVMT one. Apart from having an attractive design, the box also plays a vital role in keeping the watch safe during the packaging and shipping process. And their shipping and return policies are quite convenient as well. 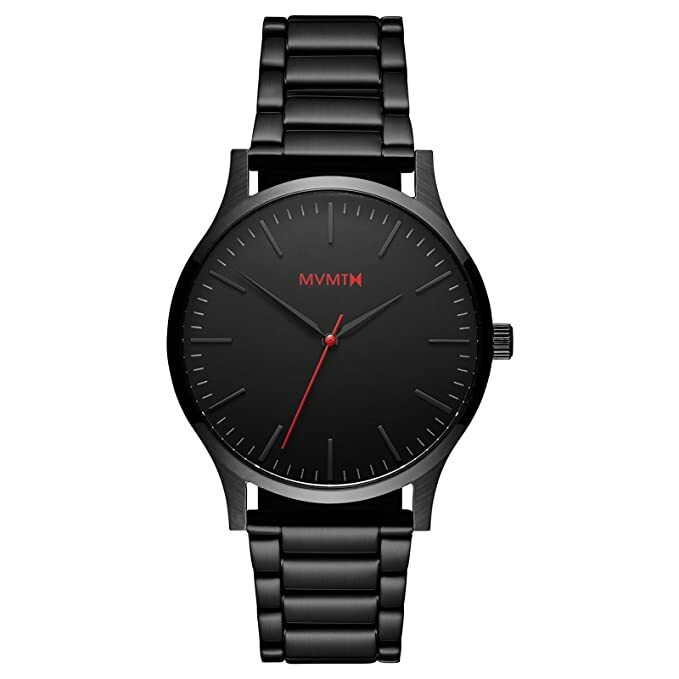 The MVMT watches (all of them are waterproof I must add) come with a 24-month warranty with free shipping and returns (excluding import taxes) worldwide on all orders over $50. They delivered my watch in a matter of days, and I heard from my cousin that they generate refunds and replacements within 72 hours as well. Pulling off the cover when I took a glimpse of the Chrono Gun Metal for the first time, the initial thought that crossed my mind was that it looked even better in reality than it did on the catalog. I had extensively gone through the MVMT watch line-up, and this watch was the one that caught my fancy the most. Their long catalog had a lot of unique styles and designs for both men and women, but I decided that the Chrono Gun Metal’s 45mm face would suit my needs the best. This watch (and all the similar MVMT models) has a very mellow aesthetic and goes really well with both casual attires and dress ups. 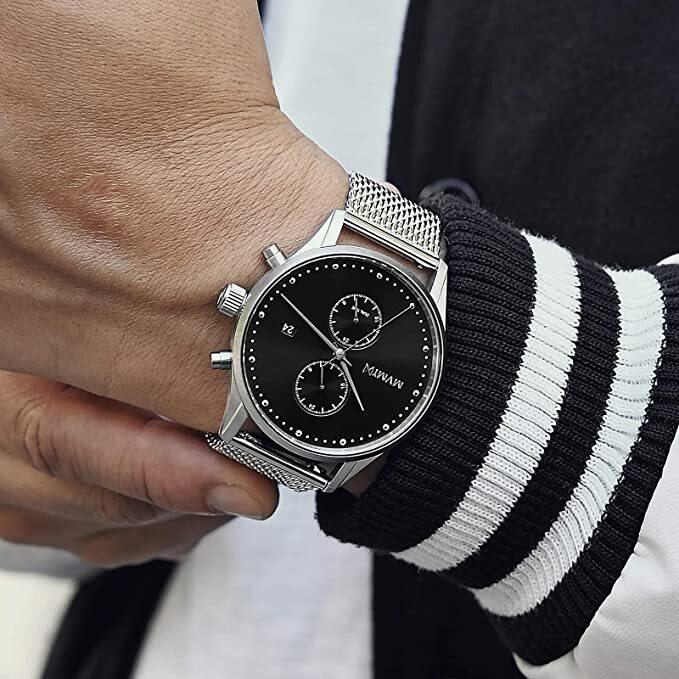 And for that classic monochrome feel, the watch is given a brushed gunmetal stainless steel case along with gunmetal dial hands and stylishly designed markers. But for me, it’s the second’s hand that steals the show. As it’s blue in color, it’s able to give the otherwise dull and straightforward look a completely different dimension. The subdials also come with a blue hand which may feel like a small accent, but it makes the watch stand out in a very unique way. And to finish off the design, MVMT tops it off with a small date window towards the side along with a light sandstone strap. But what makes their straps so unique is that they come with amazing interchangeable features. If I ever felt any inclination to change my watch’s look or appeal, I have the choice of going for three separate strap designs. From black to natural and tan leather, the secondary pair of straps can help me accessorize my watch according to my mood. Just like the watch, the straps came in a black and red mini box as well but have an additional monogram dust bag inside. And for further convenience, the straps are also accompanied by a three-step instruction card that would very conveniently guide you through the strap changing process. Changing the straps is rather simple that takes only a few seconds; simply pop out the old one from the holder, and pop in the new. And being able to change the straps at will and as many times as I like, is what grants the watch much of its versatility. Well, there is nothing called a perfect web store, and that’s especially true when it comes to selling watches online. 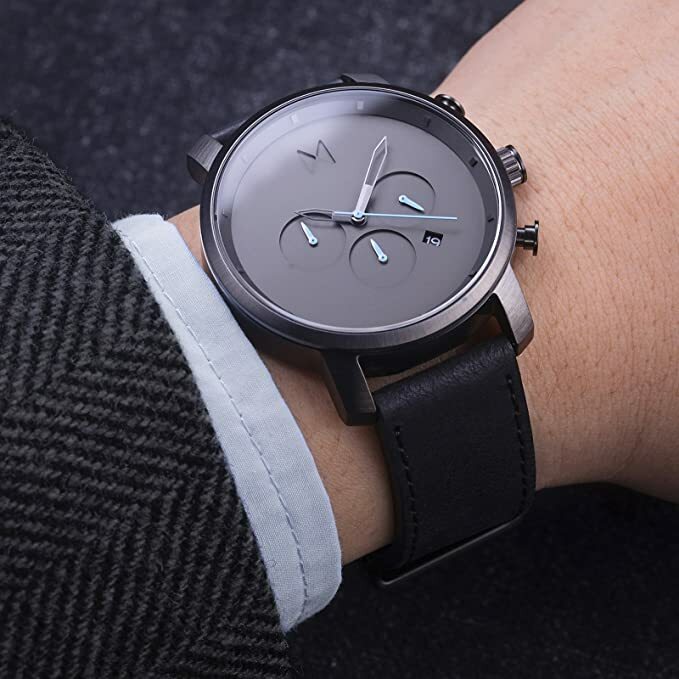 I absolutely love the mellow aesthetics of the MVMT watches along with their attractive design ranges and the fantastic discounts that they shell out every once in a while. But what I think that the MVMT lineup misses out on is the lack of variety and the “bling” factor. Don’t get me wrong, each watch they produce is truly unique in its own way, but all of them represent the same type of simplicity and mellow beauty. What MVMT can look into is making a series range that has a specific “bling” factor to it that can pop out of the catalog screen and make one go “wow”. Another aspect is the consistency in detail, which was rather disappointing. Not all watches are as intricate as the Chrono Gun Metal. Even though a lot of their models support complex designs and great attention to detail, some watches don’t have that much-needed attraction and spark. Shipping damage is another issue that I believe the MVMT watches are plagued by. And this is not something that I am saying out of personal experience, but more on the grounds of hearsay, my cousin’s experience to be exact. I had initially recommended MVMT to him when he was planning to get some watches for his three kids on Christmas. He along with all the members of the family absolutely loved their unique collection and affordable prices. So he ordered three watches, but when the package finally arrived, two of the watches were fine and in optimal working conditions, while the other watch had its dials broken even with the protective box. And needless to say, he contacted customer support right away. Another issue (which is not that big of a deal breaker actually), is their periodically buggy website. When I was browsing their site, I would occasionally experience a glitch on certain browsers where it did not allow me to log in or out of my MVMT profile and the screen froze everytime I selected a model to view. As I personally didn’t have any need for contacting customer support, I would like to talk about their help and services policy through my cousin’s perspective as well. So when he contacted MVMT’s 24-hour support helpline after realizing that one of the watches had a broken dial, the first thing they did was informing him about their 60-day full refund policy. Then they proceeded to ask him if he wanted a return or replacement, and my cousin opted for a replacement. Within 24-hours, they sent him a prepaid replacement label that would be generated once the broken item is received by the warehouse and return and replacement policies are verified. For return, the money would be reimbursed within 7 days, but it would take a bit longer for replacement. And my cousin did get a brand new replacement within a fortnight. All things concerned, MVMT has an excellent customer support with earnest support providers along with a fantastic return and replacement policy. 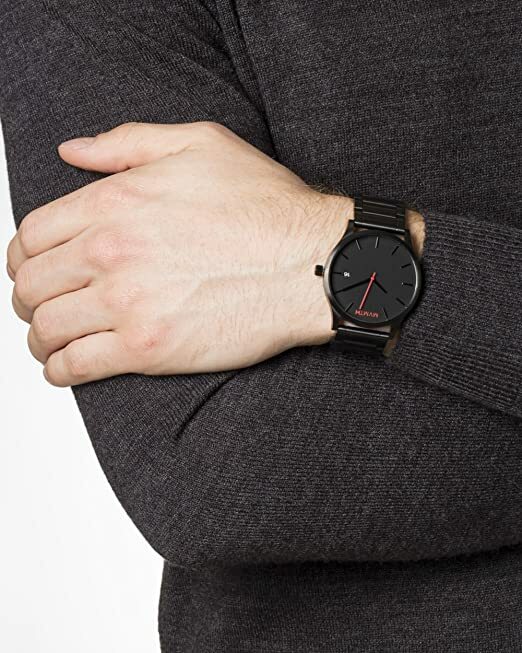 So, are MVMT watches worth the hype? Absolutely! 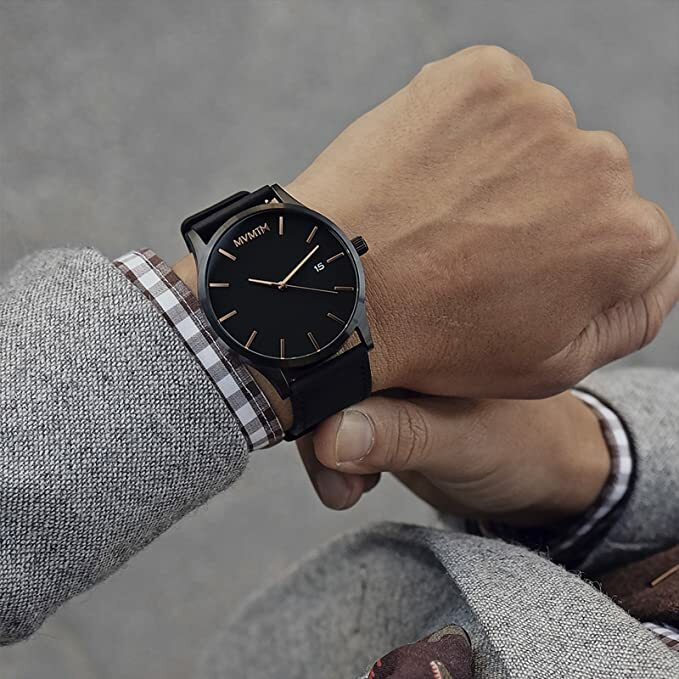 Being able to provide one with the freedom to browse a vast range of stylish watches from six different collections, and allowing them to pick a color and size freely, MVMT does more than just cater to customer demands. Even though a relatively new company, they are slowly growing to be a watch brand at par with some of the more leading watchmakers in the market. Hope you enjoyed my MVMT watch review today.